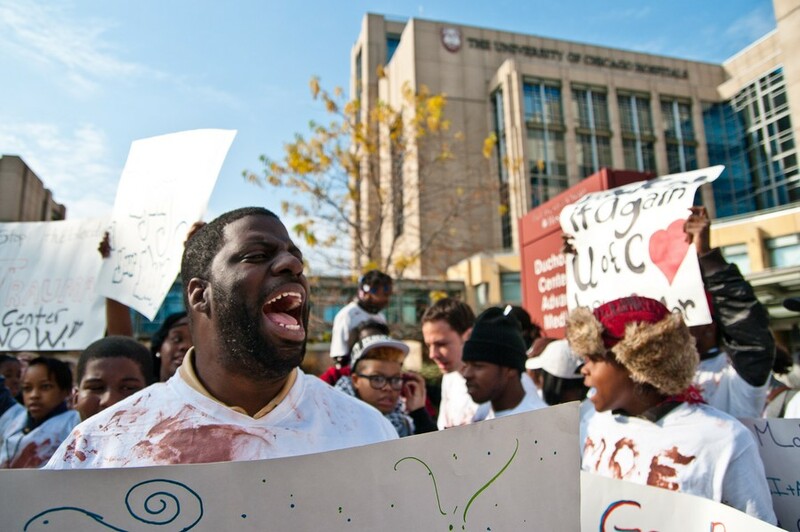 In 1986, the University of Chicago Medical Center (UCMC) opened the doors of its level-I trauma center to the South Side community and closed them shortly after in May 1988. As one of the three trauma centers serving the South Side, the UCMC trauma center was the first of the four of the area’s original 10 centers to discontinue its trauma care services in the succeeding years, leaving only one level-I trauma center, Advocate Christ Hospital in the southwest suburb of Oak Lawn, open on the South Side. Michael Reese Hospital, the third South Side member of Dr. David Boyd’s trauma network, closed its trauma center in 1990. In the early 1980s, UCMC was one of the roughly 20 hospitals in Chicago that clamored for the privilege to be a part of Dr. Boyd’s emerging trauma network. Through his work for the federal Department of Health, Education, and Welfare, Boyd, formerly a surgeon at Cook County Hospital—often regarded as the first trauma center in the United States—created the paradigm upon which current trauma centers are based: high-quality, around-the-clock care that includes immediate access to medical specialists in a variety of fields, backup staff, and necessary health services and tests. The care is intended to be both efficient and effective in the face of critical, life-threatening injuries such as gunshot wounds. At the time, Boyd’s model seemed to be indisputably effective. UCMC hopped on the bandwagon, alongside the 10 other hospitals that believed a trauma center would prove financially beneficial, as the inclusion could invite prestige, donors, and new patients. UCMC in particular saw an added bonus: Because the University prided itself not only on providing services to the community, but also on its commitment to higher education, it viewed trauma care as a vital educational resource for its medical students. “Our trauma services provide a very important resource for the educational function of the hospital, which is, after all, one of our most important functions. The medical and surgical residents…benefit tremendously from being able to see a large volume of trauma activity,” Stanford Goldblatt, then chairman of the UCMC board, said. As part of the trauma network, UCMC was obligated to provide trauma care to every trauma patient that came through its doors, including the uninsured and those on Medicaid. Though the goals of UCMC and the community aligned in encouraging the maintenance of a trauma care center, financial resources did not, according to Susan Phillips, then-director of government and public affairs at the University. And it wasn’t just that—out of the roughly 50 patients who would visit the trauma center in a given month, two-thirds of them were uninsured. UCMC was only compensated 61 cents for every dollar spent through Medicaid by the state of Illinois during those years. As a result, UCMC took on losses of up to $1.5 million per year for the two years it was in operation. Adjusting for inflation, that would be $3 million per year today. Today, that short-lived trauma center is the center of controversy. Although UCMC stopped offering trauma care services to adults in 1988, the fact that it maintained its children’s trauma center, which admits nearly 35,000 children up to age 16 per year, remains deeply contentious within the community.